But looming Trump administration tariffs still weigh on the minds of supply chain executives. The Commerce Department released its latest statistics on U.S.-made goods and they showed an unexpected increase in May. The data suggest a manufacturing sector that is gaining strength. Factory goods orders increased 0.4% last month, according to the Commerce Department. They were expected to be unchanged, according to economists surveyed by Reuters. Meanwhile, revised data for April factory goods orders showed a smaller decrease (0.4%) than the initial estimate of 0.8%. Orders for transportation equipment fell 1.1% in May, while orders for machinery increased 1.2%. Orders for automobiles rose 0.3%, and orders for industrial machinery were up 8.9%. Orders for mining, oil field, and gas field machinery were down 3.9%. Orders for non-defense capital goods, excluding aircraft, were up 0.3% in May. The category is seen as an indicator of businesses’ spending plans. The Institute for Supply Management’s survey of manufacturers, published on Monday, showed that its index of national factory activity jumped to a reading of 60.2 in June, up from 58.7 in May. Manufacturers also said an acute shortage of workers, especially truckers, was hampering supply. “It will take a lot to derail the U.S. economy because of the sugar high it’s on from the fiscal stimulus, but a developing trade war between the U.S. and its trading partners is a mounting threat,” Ryan Sweet, a senior economist at Moody’s Analytics, said. 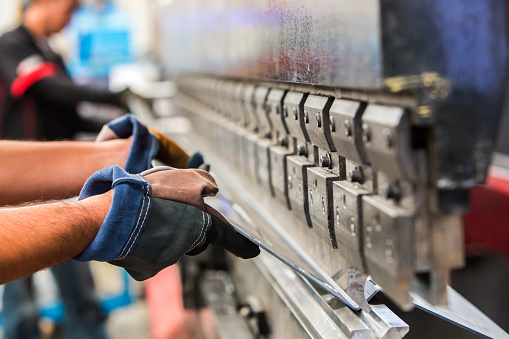 Manufacturing makes up about 12% of the U.S. economy.